Hyberbaric Therapy has a new location open at 15900 Snow Rd Suite 600, Brook Park, Ohio 44142. 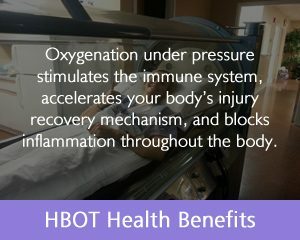 The phone number is 440-467-2266 and hours are 9-6 M-F.
During hyperbaric oxygen therapy, ambient pressure inside the computerized, state-of-the-art, hyperbaric oxygen chamber is gradually increased with the addition of 100% oxygen. The patient lies comfortably and breathes normally during treatment while enjoying a DVD or television program on a mounted flat screen TV. 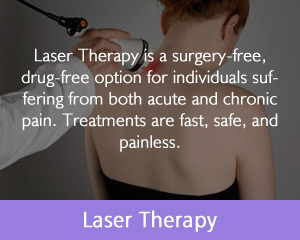 Many people choose to use their treatment time to simply relax or to take a nap. Atmospheric pressure within the hyperbaric chamber is adjusted to accommodate each patient’s treatment protocol. 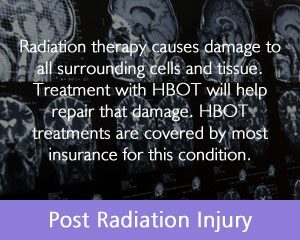 Treatments are computer controlled and monitored by trained hyperbaric technicians. Hyperbaric oxygen therapy (HBOT) is a medical treatment that delivers 100% oxygen to a person within a pressurized chamber. Each hyperbaric oxygen treatment is called a “dive.” During treatment 100% oxygen fills the hyperbaric chamber while atmospheric pressure is simultaneously increased. 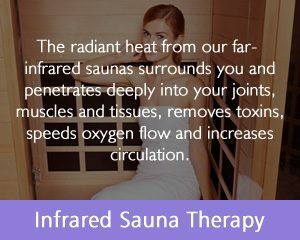 This therapeutic combination causes oxygen concentration within the body to increase 15 to 20 times normal. 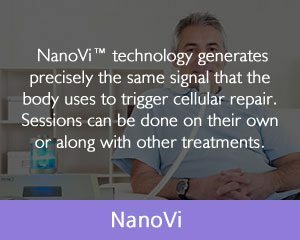 Increased oxygen concentrations help the body initiate cellular processes that can accelerate healing and aid in the recovery from certain conditions and illnesses. 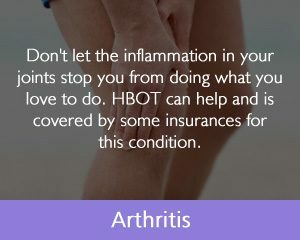 HBOT is non-invasive, safe, and has few side effects. 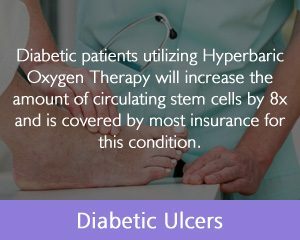 Hyperbaric oxygen therapy has been demonstrated to dramatically increase immune capabilities, assisting patients with problems ranging from chronic wounds to complex disabilities and neurological impairment. 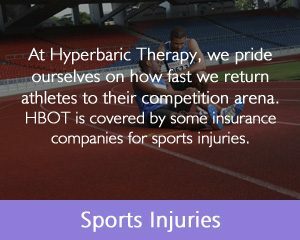 While HBOT has been used extensively by the international medical community for many years, its use is in its infancy stages, but rapidly increasing in demand, throughout the United States. 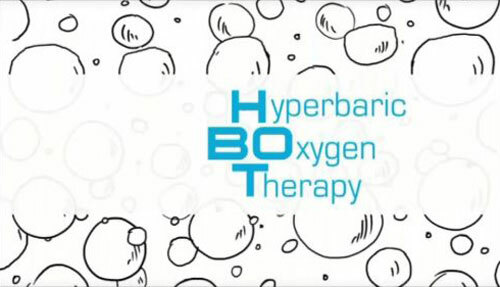 The basic principle behind hyperbaric oxygen therapy is easy to understand – oxygen is vital to the healing process. In normal conditions, only red blood cells have the ability to carry oxygen to injured parts. 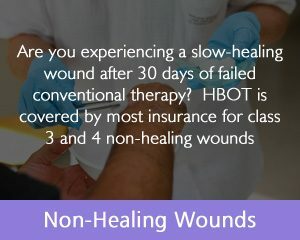 During HBOT, oxygen is dissolved in all body fluids – such as plasma, lymph, interstitial, synovial and cerebrospinal fluid. Increased oxygen levels, in turn, raise the body’s ability to create new blood vessels, build new connective tissue, and foster the growth of new cells. Rehabilitation time from injury has been accepted to have an intrinsically set rate. In other words – the body only heals at one speed. 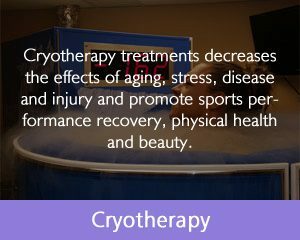 Although comfort measures and traditional therapies can be applied, the patient must basically wait out the predetermined healing time that nature has set for us. However, with the addition of hyperbaric oxygen therapy (HBOT), the previous standard of unalterable healing time has been revolutionized. A new era in therapeutic treatment lies ahead as scientific data continually documents emerging uses and proven effectiveness of HBOT. Hyperbaric Therapy of Dublin utilizes state-of-the-art, cutting edge hyperbaric technology and adheres to industry safety standards.